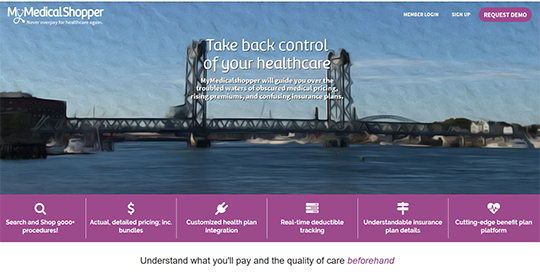 MyMedicalShopper provides access to information on price of more than 7,500 medical tests and procedures across medical care provider in New Hampshire. Price information includes actual medical procedure cost data with real-time consumer insurance information. Data reported is from the New Hampshire Comprehensive Health Information System. Web site requires sign-up to access information on the site.